You can still get your Pig Pen’s Seasoning Here, Online. We were sad to hear that Food Lion stopped shelving our friend’s great seasoning. Here’s the message from their Facebook page. 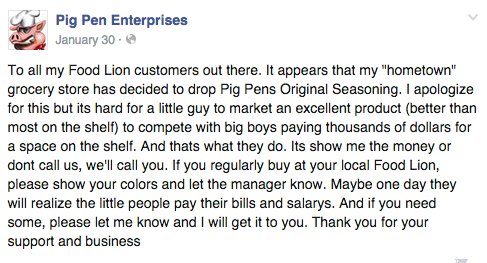 What we can offer is to ship Pig Pen’s Seasoning to you.